How’s it going? Thanks for stopping by the blog. I started this week filming some clips at Radio Disney for a story about Kane Brown. He is killing it right now in country music. You have to give his new deluxe album a listen! You never know what we’ll start talking about on set. This time, we got on the subject of pizza, because Chrissy, our incredible director, had a pizza patch on her jacket. 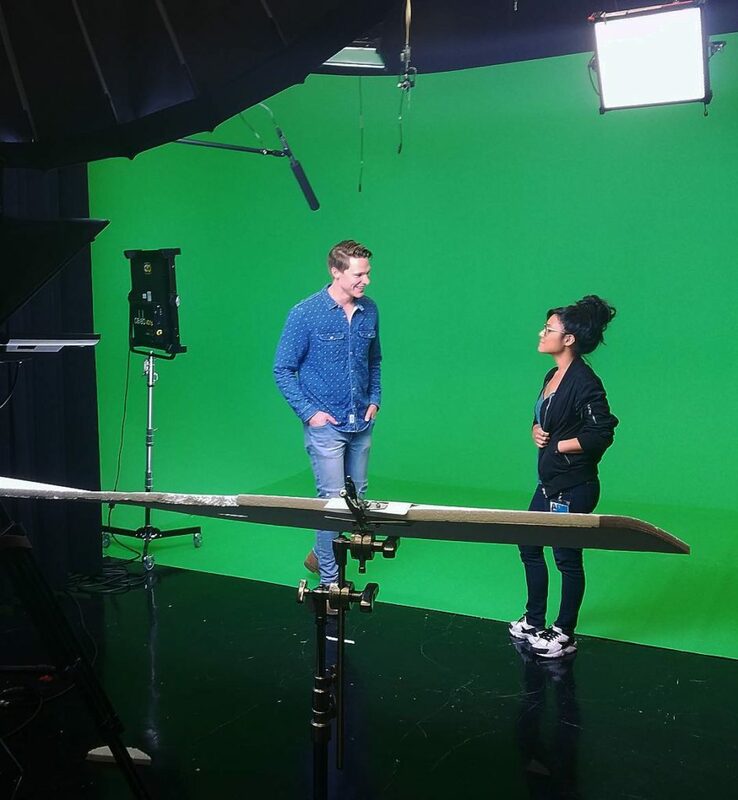 When we finished up the green screen shoot, I only had a few minutes to make it over to Universal Studios to interview contestants on NBC’s The Voice. Per usual, the food in the pressroom didn’t disappoint! The cooks grilled up some tasty burgers. With each season of The Voice, it’s interesting to see how the contestants adapt to the fast-paced schedule. They are constantly doing interviews, working on new music and thinking about stage design. I’m a huge fan of music competition shows, as it’s always so inspiring to see new talent burst onto a mainstream stage with a massive audience. A new season of The Voice will be starting up soon, but I’m also excited for American Idol to return this spring! Stick around for the next episode of On The Go with Gabe featuring Luke Bryan. He stopped by the studio, and we talked about his new music and judging gig on AI.